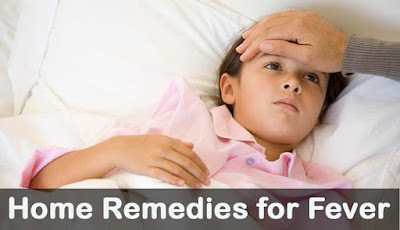 Fever is a common medical sign characterized by an elevation of body temperature above the normal range of 36.5C-37.5C. Due to an increase in the temperature regulatory set-point. This increase in set-point triggers increased muscle tone and shivering. As a person's temperature increases, there is, in general, a feeling of cold despite an increasing body temperature. So lets see the remedies to overcome. Mild Sweating : This helps to digest the toxins. Lie on a bed covered with a blanket for 15-20 minutes. Drinking hot water continuously can helps. Take 10 grams of raisins and 10 grams of fresh ginger. Crush and put in 200 ml of water for 1hr. Boil this decoction till the water reduces to 50 ml. Strain and drink while warm. Easily digestible diet is advised for patient like boiled and steamed vegetables, vegetable soups, fruits and fruit juices, small quantities of cow milk can be taken twice a day. The patient should take ample rest. Exposure to extreme cold or heat, exercise, mental stress and any other type of physical activity should be avoided.